An accomplished global executive, Brad is known for his exceptional performance in team leadership and development. He specializes in sales generation and profitability while continuing to focus on guest satisfaction and personnel advancement. Spending the better part of his career working for Marriott International, Brad worked his way up from his start as a bellman at the Newport Beach Marriott in 1976. He has served in a variety of executive roles throughout mainland USA, England, Panama, Mexico and Hawaii, including Area General Manager for several locations and General Manager of Operations responsible for multiple resort and vacation ownership properties and golf courses on Kauai. In 2010 he was a part of the $50 million Resort and Real Estate Development of the Kauai Lagoons Resort and Marriott Vacation Club International. His involvement included real estate product development, master plan overview development and pre-opening planning for operational aspects of the 520-acre development. Previously, Brad was on the Board of Directors for the Kauai Visitors Bureau, the Poipu Beach Resort Association and the Kauai Independent Food Bank. 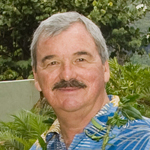 He has also been past President of the Kauai Hotel Association. Prior to his start on Kauai, Brad served as Area General Manager for the North Dallas Marriott Market. His responsibilities included overseeing the 5 multi-brand Marriott properties across the region. From 1980 to 1983, Brad worked as the Regional Director of Operations for Florida, Mexico and Panama. His responsibilities included upholding Marriott operating standards, facilitating staff placement and participating in the pre-opening planning and final execution of properties throughout the region. Recognized as a Global Pioneer for Marriott International, Brad has been the recipient of multiple Marriott International awards including Operational Excellence, Community Involvement and Special Circumstance Leadership. As Area General Manager for the Kauai Marriott Resort & Beach Club, the hotel received Midweek Kauai’s “Best of Kauai Hotels” for two consecutive years in 2011 and 2012. He also received a BBB Torch award for Community Trust, Performance and Integrity while serving on the Board of Directors for the Kauai Independent Food Bank in 2011. Brad currently resides in southern California with his lovely wife, Merrilee. In his leisure time, he is an avid participant in water sports, golf and outdoor activities.